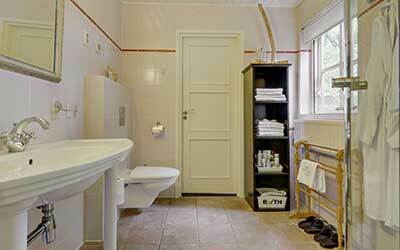 Our three guest rooms, which have each their own bathroom, are situated in the authentic living part of our farmhouse. 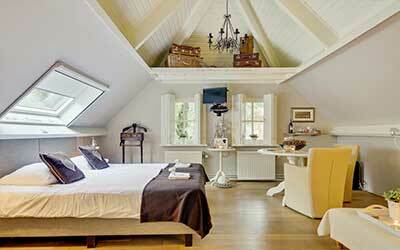 You come around the back, as we are used to this in Brabant, to enter via the own entrance of the Bed & Breakfast. 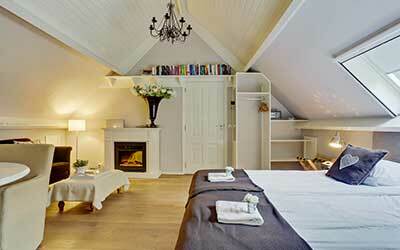 The second room, our "Front-room", is situated next to the room-with-upstairs room and is also called spacious with 21m2. 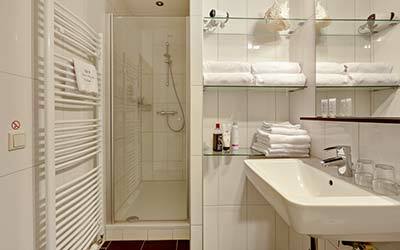 The room is also accommodated with a modern box spring, a washbasin, a minibar and a safe for your valuables. You can watch TV (with DVD player) from your lounge chair or pleasantly from your bed. 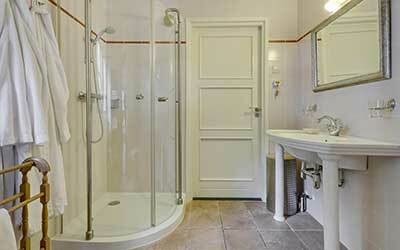 Your own modern bathroom is next to your guest room and is accommodated with a shower, toilet and washbasin. Roofed and locked parking for your bicycle, motorcycle or classic car is free of charge. 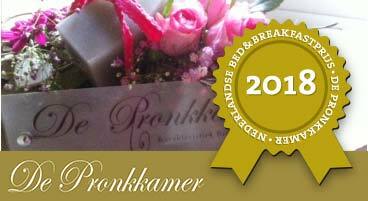 Cancellation within 14 days before arrival date means that you owe Bed & Breakfast Hoeve Nijssen 50% of the total cost. Of course it is also possible to make an alternative reservation. 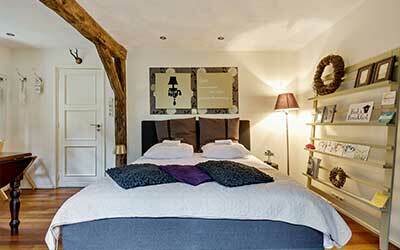 It is also possible to offer our arrangements and overnight stays in our Bed & Breakfast through our gift voucher. Please contact us about this. Paying with PIN and creditcard is possible. 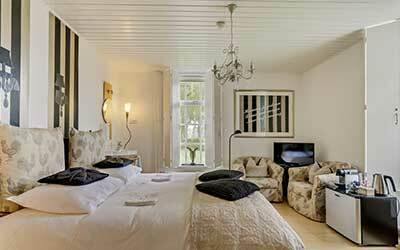 The "Garden-room" with suite bathroom is 23m2 and beautiful situated at the back of our Bed & Breakfast. You look through the garden doors into our lovely garden with animal meadow. 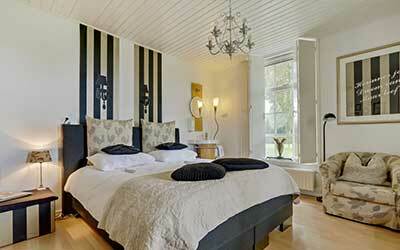 This room is also accommodated with a modern box spring, a minibar and a safe for your valuables. The room has a spacious living-room suite, contains a nice hearth and there is a TV and DVD which you can also enjoy from your bed. 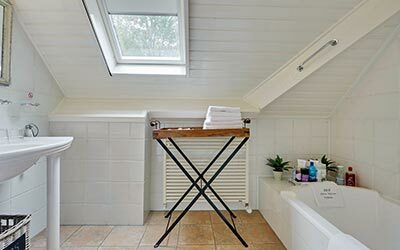 The "Luxury-room Upstairs" with adjoining own bathroom with among other things a duo bathtub and a separate toilet is situated on the first floor. From the stairs in the authentic part of the farmhouse you reach this beautiful and very spacious room which is situated at the back of our farmhouse. You look through the windows into our lovely garden with animal meadow. This spacious room of 33m2 has a modern box spring. On request the room can be accommodated with two large single box springs. This luxurious upstairs room has a nice hearth with a pleasant living-room suite, a round dining table, a minibar, a safe for your valuables and a TV with DVD player is present. 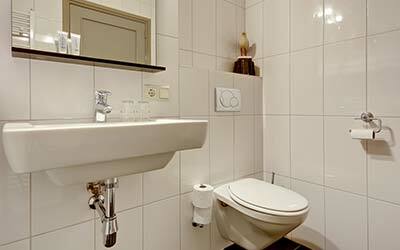 The room is extremely suitable to stay for a longer time.